Among the predictions published in this series last year, none proved more prescient than Rachel Sklar’s “Women are Going to Get Loud.” It’s as if Rachel got an advance copy of Time’s Person of the Year issue — really advance. The #MeToo movement has been an efficient juggernaut, blasting open decades of workplace hostility and harassment, and nowhere has it gotten more attention than in the field of media. (So much for “report the story, don’t become the story.”) Certainly, media is not the only industry so plagued by misogyny — there are others where it’s even more widespread. Nonetheless, it’s the media’s job to expose these outbreaks and it can’t even begin to help in that regard until it puts on its own oxygen mask. The main consequences of this reckoning have been terminations, resignations, leaves of absence. And so it happens that there are suddenly a whole lot of vacancies in leadership roles across many media organizations. Already we’re seeing some of these roles filled by women. Expect that trend to accelerate and expand. There’s a surfeit of female talent that’s been sitting too long on the bench. It never made sense for journalism to skew so heavily male at its highest ranks for so long. Media corporations can’t say with a straight face that it’s a “pipeline problem” with regards to women eager to study, work, and lead in journalism, as technology titans feebly do. According to Poynter, journalism schools award diplomas to women at a more than 2 to 1 ratio. Per ASNE, that ratio somehow flips in terms of newsroom supervisory roles, with women comprising only 37 percent. Media is storytelling, communication, information dissemination…we’re not talking about the defense industry or investment banking. These are skills women have long been stereotyped for having mastered — and yet, haven’t yet been deemed authoritative enough in to be awarded a mantle of leadership. Isn’t it ironic? That all ends next year. My prediction is not solely that media leadership will be feminized, but that news itself will take on a new, more feminine, tone. No, this doesn’t mean more articles on weight loss and beauty trends. Instead, it means that women will be seen as reliable sources and the sexism embedded into articles about women’s issues and female public figures (“Who were they wearing?”) won’t make it past first edit. It also means we can expect newsroom resources dedicated to uncovering stories of other underserved and underreported communities. This means we can expect more two-way communication between storytellers and readers — something more authentic and constructive than a comments section. I expect the female media takeover will bring also bring a novel remedy to the phenomenon of so-called fake news and the overall stratification of media along ideological lines. Don’t ask me how I know — it’s just my woman’s intuition. 2017 wasn’t pretty for our industry, but there’s hope for 2018. This time next year, “content is queen” will roll right off the tongue. 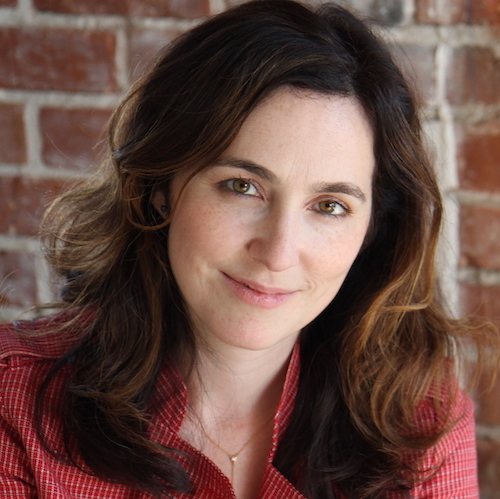 Jennifer Coogan is chief content officer of Newsela.